Ron Beckett / BRI / Quinnipiac Univ. 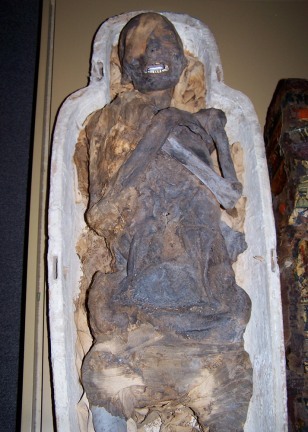 The mummy known as Pa-Ib has arms crossed on its chest. An opening on the left side, through which internal organs were extracted during the mummification process, can barely be seen.